Disclosure: I received a product to facilitate this post. All opinions expressed are my own. Looking for a beautiful and easy holiday dessert to serve your family (or at those parties and get togethers you’ve been invited to? Here it is. Bauli Pandoro is a traditional holiday bread from Verona, Italy. It’s similar to a pound cake but is lighter and is very moist. This cake comes pre-made, having been baked in a star shape mold. Powdered confectionery sugar is included (spearately) in the package. Super simple to prepare, simply open the plastic bag to reveal the cake, pour in the powdered sugar, and shake to coat the outside of the cake. That’s it. Slice and serve. Told you it was easy. 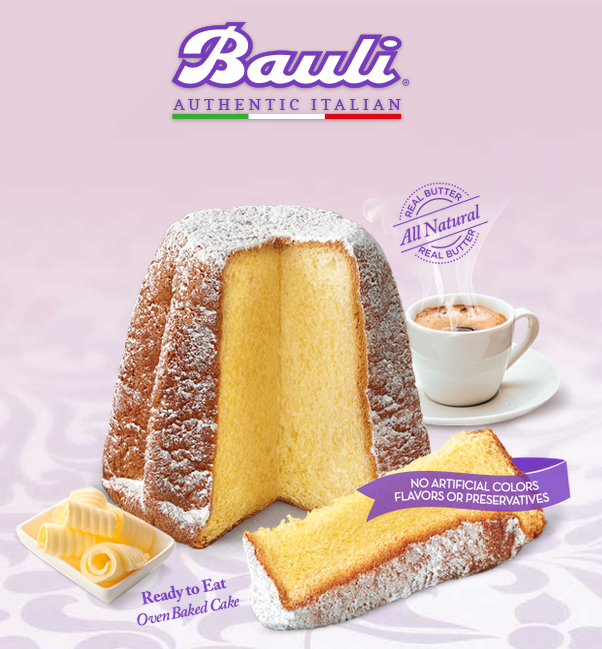 The Bauli website offers quite a few options for desserts, breakfasts and other delicious dishes using this cake, as well as their other great products. 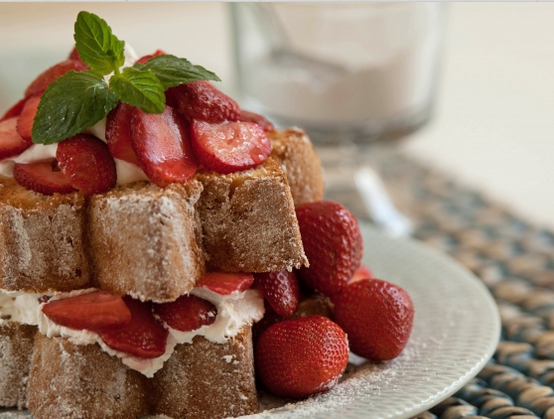 I decided to make the Pandoro Strawberry Shortcake (pictured on my iPad screen) from their website. Here’s what my cake looked like. 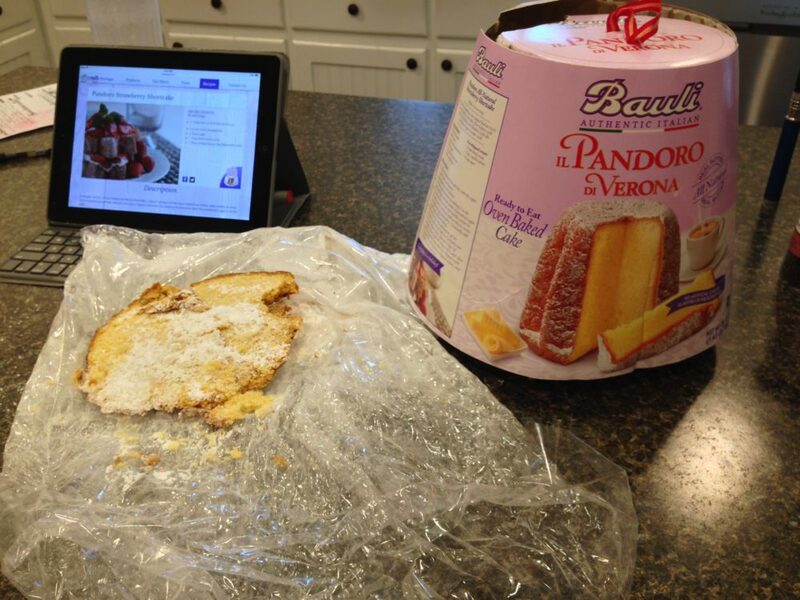 Bauli Pandoro packaging and plastic bag, Bauli website loaded on my iPad. 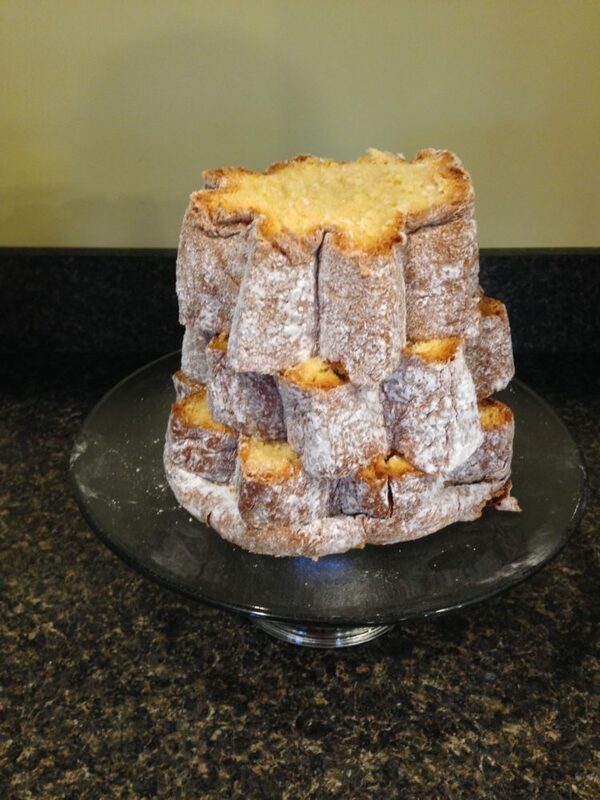 Bauli Pandoro cake, dusted with confectionery sugar and sliced, plated and ready for the berries and whipped cream! Preparing the Pandoro Strawberry Shortcake only took about 20 minutes, that’s including the prep work of slicing the strawberries and mixing them with lemon juice and vanilla extract (the recipe calls for orange licqueur, but I didn’t have any on hand), as well as dusting the cake with the powdered sugar and slicing it up. Here you can see the sliced cake, plated on a cake stand, ready to layer it with whipped cream and strawberries. I prepared this for Thanksgiving dinner, but left it as pictured above during dinner as I didn’t want the whipped cream to start breaking down and melting away during the meal. I finished assembling the cake after dinner while everyone was letting their stomachs settle. Unfortunately, I didn’t manage to remember to take a picture of the finished product, but here’s an image from the Bauli website where you can find the recipe to try for yourself. They show two cake levels, but I used all three cake layers. It was so beautiful! There are plenty of other great recipes to try, too. They are available at Bauli’s website here. There are three pages of delicious options. I can’t wait to try their french toast and bread pudding recipes! 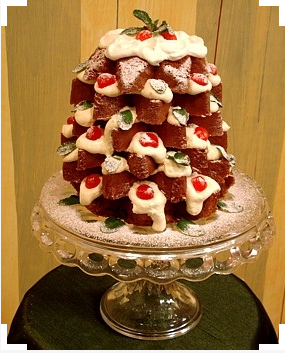 If you try Bauli for your holiday party, they have a great option that would look great on your dessert table. You can layer the slices with whipped cream or mascarpone and top with Nutella, chocolate drizzle, cherries and other edible garnishments to give your cake the look of a festive Christmas tree. Do yourself a favor this busy holiday season, get one of these cakes and take a load off of your shoulders. Everyone will think you slaved in your kitchen all day preparing whatever beautiful creation you serve. What they don’t know won’t hurt them, right? Disclaimer: I received the above shown product for free to facilitate review. No other compensation was received. All opinions are 100% my own. Previous Post: « CoCo Joy Water keeps you going!